Yay another post after about two months of my internship training. Look at how I've been so busy with life lately. This is why I don't really want to promise you on the exact date for a new post. It can be very hard for me to fully commit to a consistent update. Anyways, I am already at the end of my second month of internship training. Alhamdulillah, another two months to go. 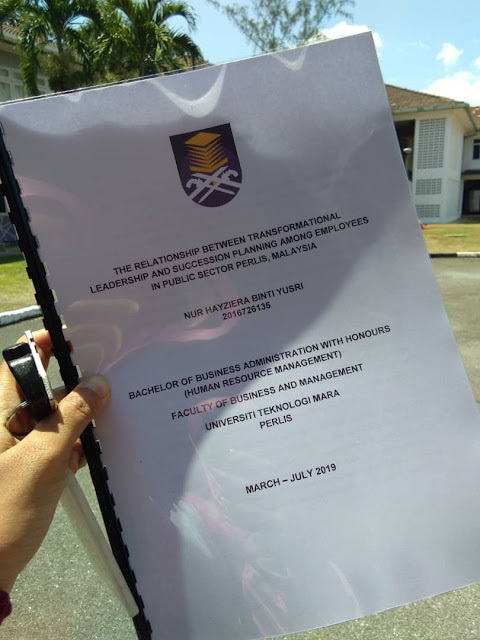 And not to forget, I already submitted my first draft for my FYP as well. Ya Allah, FYP is just too hard to handle especially when you are having workloads and need to attend events and courses at the same time. But, everything went smooth even though I rushed around like a blue-arsed fly. Haha. No joke! In my last post, I mentioned about my first week of internship. There is not much to do. And now, after a month ++, alhamdulillah I can finally feel the aura of a real work environment. I joined about 4 to 5 meetings, I helped to handle a few events, I attended a course outside the office. I believe that every experience I gained is very valuable and useful for my future. All the interns were able to join so many events whether they are related to our courses or not. These events really open our eyes towards so many things that are beyond our expectation and ofc, we get to learn so many things. The staffs are so kind and considerate. They take good care of us and always try to let us join many things to help us to be used to many things here. FYP? The first try would eventually need you to make a major correction. I am ready for that as I am already used to re-do, re-phrase, re-print whatsoever haha. One thing I hoped for at the end of this semester is that my work will be satisfying enough for me and for both of my supervisors. That's it. Will update the photos on the programmes I joined in the next post!